Research plays a vital social role in assisting our governments and businesses develop services policies that are responsive to an identified need. It contributes to a country’s economic well-being. 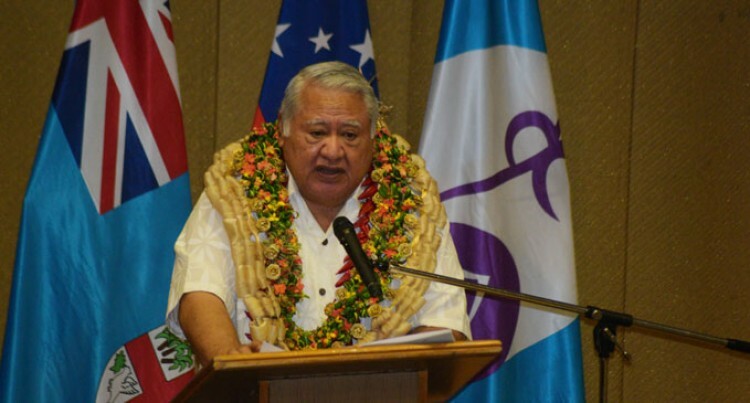 Samoan Prime Minister Tuilaepa Aiono Sailele Malielegaoi made this statement while opening the University of the South Pacific research week yesterday. He said that Research Week was an important part of our regional institution’s programme and social research provides accurate and timely information on the behavior, needs, attitudes, opinions and motivations of a population. Throughout the week, the USP will look at its past achievements and commit to its aspirations in research. USP will also hold an international symposium this week to showcase what it is doing now to produce the region’s future researchers and problem-solvers. The Research Week reflects the core role of USP which is to train future leaders.